NEW YORK – If you live in the northeast, chances are you’ve taken the train once or twice. Around 1 million people ride commuter trains in the New York City area each day and some of the busiest railroads operate in the northeast… but there’s a problem. The northeast rails continue to lag behind their West Coast counterparts in terms of safety. Federal regulators said many railroads along the Pacific coast have installed – or begun installing – sophisticated ‘positive train control’ technology or PTC. Safety experts say PTC will reduce the number of train crashes involving speed or other human factors but the northeastern rail lines are still far behind when it comes to implementing this life-saving tech. 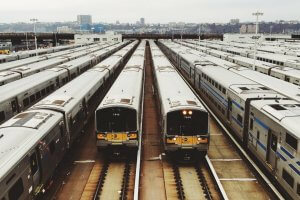 According to records filed with the Federal Railroad Administration, the Long Island Rail Road, NJ Transit and Metro-North Railroad have all made little progress on installing the GPS-based PTC. Records show that none of the railroads have implemented the technology although several employees have been trained to use it. The New York Metropolitan Transit Authority told the AP that the data doesn’t accurately reflect the progress they’ve made and all of the railroads are on track to meet a December 2018 deadline; a deadline Congress has already pushed back before. A New York Train accident lawyer at Cellino & Barnes says PTC is already being used in places like the west coast, where Metrolink has been using the technology for over two years. Investigators have said that PTC could have prevented at least 25 major train crashes over the past two decades, including deadly crashes in New York City and Philadelphia that claimed 12 lives and injured dozens. In both crashes (2013 and 2015, respectively), the trains traveled along sharp curves in the track at more than double the area speed limit. Investigators in New Jersey are also looking at the possibility that PTC may have prevented a destructive crash at a Hoboken, New Jersey train station, where a commuter train plowed into a wall at speeds that were well above the speed limit. On the West Coast, the busiest rail line is Caltrain – but it doesn’t carry nearly many daily riders as the massive train companies in the northeast. Caltrain and Metrolink have roughly 100,000 riders each day – combined. Positive Train Control is implemented on almost every mile of track that the rail companies own and West Coast railroads that don’t have the technology completely in place are still leaps and bounds closer than the big northeast railroads. New York train accident lawyers say every day trains operate on tracks without PTC, there’s a bigger risk of another severe accident. If you or a loved one has been injured in a train accident, the lawyers at Cellino & Barnes can help you get the best result possible. With offices across New York State, our attorneys understand how important rail safety is – and when passenger safety is neglected, our New York train accident attorneys can investigate the crash and use their experience in court to make sure your family receives fair compensation. 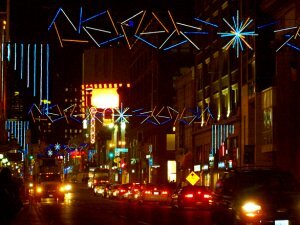 ROCHESTER, N.Y. – If you thought a lot of people were traveling for Thanksgiving, wait until you see the numbers for the holidays in December. Nearly 50 million Americans came home with Thanksgiving leftovers this weekend, according to AAA estimates. If the trend stays on pace, Americans will more than double the amount of miles traveled over the Thanksgiving break as Christmas approaches. Last year, more than 100 million people traveled for the holidays in December. That number is expected to rise once again this year as families head home for the holidays despite the winter weather that often goes with the season of giving. A Rochester car accident lawyer at Cellino & Barnes says the holidays are a joyous time for many families but for some, they can be a somber reminder of how dangerous the season can be. Around 35-percent of the car crashes that occur around Christmas were the result of drinking and driving, according to statistics compiled by the National Safety Council. Less than a week after Christmas Day, there’s New Year’s Eve – a holiday in which nearly half of the traffic fatalities are associated with alcohol use. This year, both Christmas Eve and New Year’s Eve fall on weekends, making them extra dangerous because fewer families have to work on the following days. While there’s a higher risk traveling on recognized holidays, Rochester car accident lawyers noted that the days leading up to Christmas can be dangerous too. Whether you’re traveling far for the holidays or plan on staying close to home, Rochester car accident attorneys urge everyone to be responsible behind the wheel. If you or someone you love has been injured by a negligent or drunk driver, a Rochester car accident attorney at Cellino & Barnes can help you get the best result possible. Contact an experienced trial lawyer today for a free consultation. BUFFALO, N.Y. – As Western New York prepares for lake effect snow, police and other first responders are preparing for a sharp uptick in the number of car crashes. While many drivers in the region may be acclimated to driving in the snow, a study from 2005 found that the first snowfall of the winter is “substantially more dangerous” than later snow storms. In some cases, the crash rate was 10 to 20 percent higher during the first snowfall. A Buffalo car accident attorney at Cellino & Barnes says whenever the temperatures dip below 32-degrees, traffic crashes tend to rise but many drivers aren’t used to operating a vehicle in slick winter weather when the first flakes fall. Researchers at the University of Michigan also found that older drivers face an even higher risk if they’re battling their first winter conditions of the season. Drivers over 65 were 34 percent more likely to be involved in a crash on the first snowy day when compared to other winter days. Buffalo car accident lawyers say the study’s results could have a large impact on the Western New York region. Not only is Buffalo one of the snowiest areas of the country, it also exhibits a large population of drivers over 65 years old. Drivers over 65 and teen drivers showed lower fatality rates on the days after the first snow storm, the study reported. With many teens on winter break and older drivers enjoying retirement, researchers believed that the two groups were less likely to get behind the wheel the next time winter weather sets in. Still, snow and ice is always dangerous. According to data from the Federal Highway Administration , nearly 900 people are killed and another 76,000 are injured in car crashes when snow or sleet is present. Drive Slower. Even at slower speeds, snow and ice can triple or quadruple the stopping distance. The best way to stop faster in an emergency is to drive slower. Use Your Headlights. When the windshield wipers are on, drivers are required by law to turn on their headlights. Especially during heavy snow flurries, your headlights can alert other drivers of your presence on the road. Update Your Vehicle. 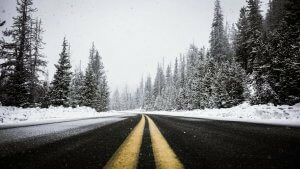 Every car or truck should have all-season or winter tire treads to get the best possible traction on slippery roadways. Also, have a mechanic check your brakes and wiper fluid to be safe. Pay Attention. Drivers can’t avoid an accident if their eyes aren’t on the road. Keeping your mind focused on the task ahead of you can provide you with the crucial seconds needed to stop on time or avoid a possible crash. Inclement weather is rarely an excuse for bad driving. If you or a loved one has been injured by a negligent driver, Cellino & Barnes can help you get the best result possible. With offices near you, our attorneys are ready to assist you 24/7. Contact one today for a free case evaluation. MELVILLE, N.Y. – If you plan on traveling for the Thanksgiving holiday, you won’t be alone. According to AAA, more than 48 million Americans will be leaving home for the Thanksgiving break, the most since 2007. More people are carving out time to visit family and friends this year because the economy has improved, AAA says. Despites moderate increases in gas prices, drivers will have saved more than $28 billion at the pump this year compared to 2015. It’s good news for travel agents but for safety advocates, the spike in road-trippers could result in dangerous consequences. 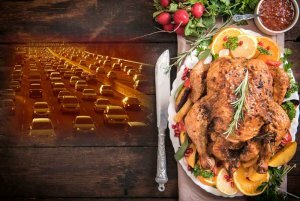 A Long Island car accident lawyer at Cellino & Barnes says Thanksgiving break is historically one of the most dangerous times to be on the road. In 2012 for example, Forbes reported there were more than 760 deadly car accidents over the Thanksgiving holiday, roughly 10-percent more than any other holiday. Based on federal statistics, the Long Island car accident attorneys at Cellino & Barnes estimate there were more than 50,000 non-fatal car crashes over the four-day holiday break last year. With nearly 50 million people sharing the road, the traffic could give you a headache too. But safety advocates urge drivers to let the stress go if you plan on taking a road trip. Get Enough Sleep. It’s true that turkey can make you drowsy, so make sure the tryptophan has worn off before getting behind the wheel. In fact, one study found that staying awake too long has the same effect as driving drunk. Give Yourself Time. The turkey isn’t going to walk away, so slow down. 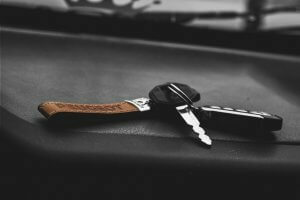 Long Island car accident lawyers say planning is a crucial part of a safe road trip: people who plan their trips and know where they are going are less likely to be stressed out, less likely to speed, and less likely to exhibit road rage behavior. Don’t Drink & Drive. It’s common sense by now but it can’t be emphasized too much. Not only can driving under the influence result in hefty fines or jail time, it can cost a life. The National Highway Traffic Safety Administration states that 40-percent of those killed in car crashes over the Thanksgiving holiday were either intoxicated or passengers, sitting next to a drunk driver. In any situation, you may need a legal advocate if you’ve been injured in a car crash over Thanksgiving break. The Long Island car accident lawyers at Cellino & Barnes have helped New Yorkers get over $1.5 billion in settlements and verdicts. If you’ve been hurt in a car accident, Cellino & Barnes has the resources and experience you need to get the best result possible. Call them today for a free consultation. NEW YORK – More than 100 pedestrians and bicyclists have been run over on city streets this year, a 12-percent jump from 2015. Another incident happened on Monday as Nuesa Marques-Diniz, 68, was struck and killed by an electrical truck while crossing 42nd Street between 5th Avenue and Madison Avenue. According to the New York Daily News, Nuesa Marques-Diniz was a Brazilian national who had recently left a nearby McDonald’s when the truck, owned by Hugh O’Kane Electrical Co. struck her at around 8pm Monday night. Police told the Daily News that Nuesa Marques-Diniz died at the scene. A Manhattan truck accident lawyer says truck drivers have a responsibility to drive and operate their trucks as safely as possible but there are many more factors that need to be scrutinized – including safety concerns with the roadway itself. Each year, thousands of people are injured or killed in truck crashes that are traced back to driver fatigue. A thorough legal investigation will look into a truck driver’s record and the number of hours the driver has spent behind the wheel and working. A successful claim could also help improve safety for others in New York City so accidents like the one that claimed the life of Nuesa Marques-Diniz can be prevented in the future. 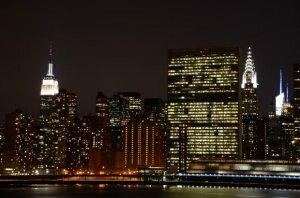 NEW YORK – As millions of Americans casted their votes on Tuesday, many were thinking about the future but for years, our future has been under attack. Every year, more than 800 children are killed by cars and trucks. 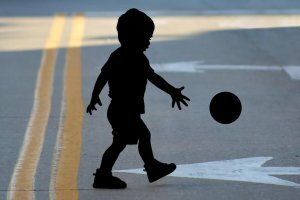 According to the Insurance Institute for Highway Safety, children were passengers in 69-percent of those accidents and nearly 20-percent of children were pedestrians. A Brooklyn car accident lawyer at Cellino & Barnes says city kids are more likely to be killed or injured by cars than strangers, guns or terrorism combined. Despite the city’s goal of reducing traffic deaths to zero, fatal accidents are actually up 5-percent this year – many of which involve children. 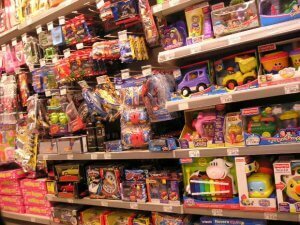 Recently, the New York Daily News reported a rash of car accidents involving children. A van driver struck and killed an 8-month-old baby in a stroller. A 13-year-old was hit by a driver while walking to school. And other incidents have spurred families to push for more commitment to safer streets. A Brooklyn car accident attorney says while infrastructure and safety improvements will help, drivers need to be more responsible behind the wheel. If you’ve been injured by a distracted or speeding driver, a Brooklyn car accident lawyer at Cellino & Barnes can help you get the best result possible. For more safety information and tips, follow Cellino & Barnes on Twitter. NEW YORK – There are so many ways you can commute to work today: walk, car, bus, train, bicycle… it’s a long list! But one thing New Yorkers have yet to master is how to share the road. Bicycle commuting has surged recently. Since 2005, the number of people commuting on bicycles has jumped 46 percent or more, according to the League of American Bicyclists. That means there’s more competition for street space. A Queens car accident lawyer says as the number of bicyclists continue to rise, so do the number of hospital visits. 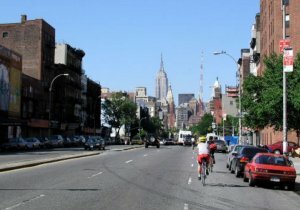 In New York and across the country, there’s a disconnect between cyclists and drivers. According to recent road-usage studies, many drivers don’t use bikes and some don’t even own one. Psychological studies done through the Department of Sociology at the University of Hawaii on the interactions between cyclists and drivers found that many motorists believe the streets belong to cars (or vehicle traffic in general). So, when an incident does occur, it can often spark a fuse, leading to road rage. Conversely, bicyclists can be pushed to the brink as well but for different reasons. Bicyclists are extremely vulnerable in comparison to their motoring counterparts. Many bicyclists have driven vehicles before and they know mistakes can happen but when they’re on a bicycle they also know that just one mistake could put their health and safety at risk. Psychologists studying this delicate road relationship found that bicyclists can sometimes commit road rage when they feel a driver has threatened their safety or the safety of others. A Queens car accident lawyer says both drivers and bicyclists have to keep cool in these situations. “Cities are in process of changing road designs and infrastructure to avoid disagreements between bicyclists and drivers but until those changes are complete, and even after they are complete, everyone needs to understand that the streets are multi-purpose and they’re meant to be shared,” Cellino said. As proud supporters of the cyclists nationwide, Cellino & Barnes urges everyone to use caution on city streets to avoid a potentially serious accident. But if an accident does occur, the firm’s experienced Queens car accident lawyers will aggressively fight to get the best result possible for an injured bicyclist. If you’ve been hurt by a car or truck, contact a Queens car accident attorney today for a free case evaluation. ROCHESTER, N.Y. – Here’s the idea behind Daylight Saving Time: we move our clocks forward by an hour during the spring to be more efficient with our daylight. We don’t need to use the lights as much when we have later sunsets on long summer days. As the days get shorter in the fall and after farmers have collected their harvest, we turn the clocks back an hour to get back onto standard time for the holidays. However, the United States is one of the few nations in the world that does this and research has questioned just how healthy – and safe – the practice is. While many Americans will enjoy the extra hour of sleep on Sunday, the time change can have dramatic effects on a person’s health. For one, Daylight Saving Time throws off your circadian rhythm, your body’s sleep cycle. Doctors have noted that even small time changes can cause chronic sleep loss and lead to more serious problems like diabetes, heart disease, high blood pressure, or stroke. 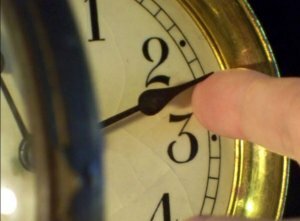 The end of Daylight Saving Time has also been linked to cluster headaches, a type of severe headache the constantly recurs and is often limited to one side of the head. Experts believe these headaches are directly caused by circadian rhythms in the brain. Many study participants have reported feeling less alert and less focused following the autumn time change. A Rochester car accident lawyer at Cellino & Barnes says this loss of focus is concerning – especially when there are millions of drivers who must now commute home in the dark. Have you ever noticed that you can be groggy on a dark and rainy day? There’s science behind it. Doctors have found that as the sun goes down, our bodies start producing melatonin, a hormone that makes us tired and as we approach winter, each day is getting darker by a few minutes. On November 6th, the day gets darker by an entire hour. Pedestrians are most at risk. According to data from traffic analysts across the nation, more pedestrians are killed by cars immediately following the spring and fall time changes. After analyzing more than 20 years of data, one study reported there was a significant increase in the number of accidents the Monday immediately following the fall time shift. Researchers said this is likely due to a sudden increase in ‘late night’ driving. A Rochester car accident lawyer says the 5 o’clock rush hour on Monday will be darker – and more dangerous but if drivers are more aware of the risks, they are more likely to put a greater focus on the task ahead: driving home and driving safely. For more safety information, visit Cellino & Barnes on Facebook.